Horse and wood is a project combining the sounds of the Mongolian Horse Fiddle and Harmonic throat singing from Bukhchuluun Ganburged with the classic Arabian textures of the Oud playing of John Robinson. The result is frequently undefinable but always spectacular. 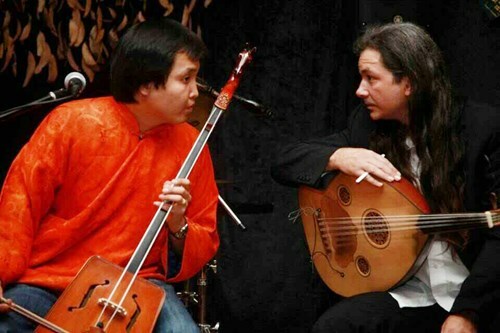 Mongolian horse Fiddle meets an Oud (The Wood in Arabic) in a unique fusion of galloping Mongolian rhythms, sparkling harmonic singing, and the warm, evocative nuances of the oud, and other exotic strings. An ethereal delight!